The app that solved my biggest problem with Nest. 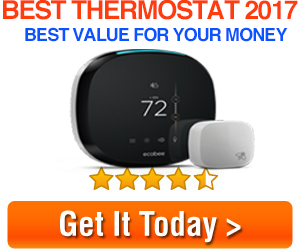 Nest made a great product, it revolutionized the WiFi Thermostat market. But no product is perfect, My Nest had a very common and critical problem, they used to have a forum thread where a lot of people discussed the infamous Auto-Away problem. Nest sometimes will go into Auto-Away and will never come out of it. Meaning it won’t function at all. When the device in question is a thermostat, not functioning is unacceptable. Nest tried to dodge the problem by first deleting the forum thread about the issue than placing a page on their main site advising users to reset the Auto-Away. Well for me that did nothing to fix the problem. I was hopeless and came really close to uninstalling the device, but Skylark came to rescue. Skylark is an IOS app that fixes this problem. It allowed me to save even more money by activating Auto-Away earlier than Nest would. I stumbled into Skylark because of a problem but it was perhaps a blessing. I believe everything in life happens for a reason. Even the small problems we face in life happens for a reason. Skylark is much more than a simple fix to a problem you might face with Nest or Honeywell Thermostats. You simply activate the app by entering Nest or Honeywell account email and password at setup and Skylark takes it from there. It has too many features to list in this short review but my favorites are these. Multi-User Support: I am married with 2 kids, if you are not living alone this feature is great. It actually knows if there are more than one person in the house and adjusts the thermostat according to people. Savings: I have been using Skylark for 2 months and compare to last year, I saved $5 a month without doing anything extra. I will update this review in the future months to report the savings. But so far it’s a free app for me. Geofencing: What is Geofencing? It’s a new fancy word meaning GPS tracking the user. It tracks where you are and it adjusts the temperature when you are coming home or leaving home. There are other gadgets in the markets that do the same thing but they simply don’t work as well as Skylark. I like the fact it has an option to let Nest know there are Guests in the house. It’s small touches like this make Skylark different and must have for Nest owners. The only problem with the app is if you forget your phone in the house, it will think you are home and keep the heat or AC running. But then again that happens once a blue moon. I have some connection issues here and there but nothing major. You can check their website at www.skylarkios.com. Hello There. That is an extremely smartly written article. I will come back to learn more of your useful information. Thank you for the post. I’ll definitely return.